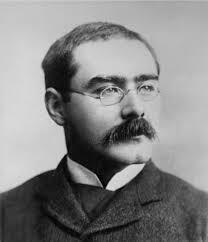 Today in Masonic History we present My New-Cut Ashler by Rudyard Kipling. I know, through Thee, the blame was mine. Thou knowest Who hast made the Clay. And manlike stand with God again! In that dread Temple of Thy worth. I saw nought common on Thy Earth. Oh whatsoe'er may spoil or speed. That I may help such men as need!